Maurice Jackson: Joining Proven and Probable today is Michael Rowley, president and CEO of Group Ten Metals Inc. (PGE:TSX.V; PGEZF:OTC), which is known for platinum, palladium, nickel, copper and cobalt in the prolific Stillwater district of Montana. Mr. Rowley, welcome to the show. Michael Rowley: Thank you, Maurice, glad to be back. Maurice Jackson: Glad to have you back, sir. 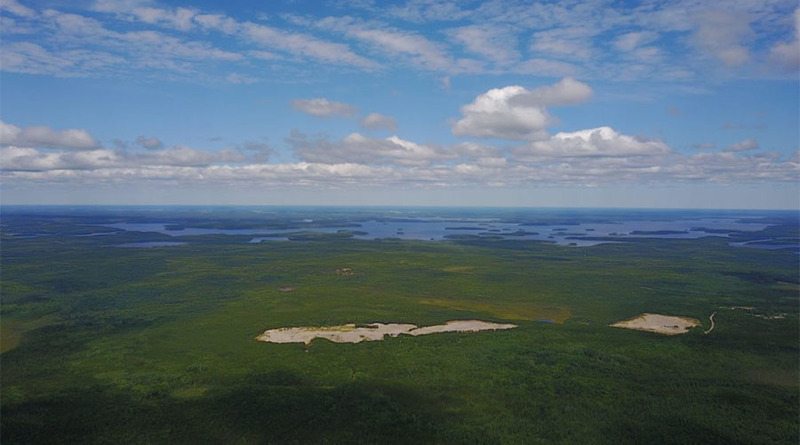 In 2018, Group Ten Metals began its first season on the ground and identified 14 target areas on its flagship project, Stillwater West. Today, we have the results from 2 of the 14 target areas, which are quite impressive. But before we begin, for someone new to the story, who is Group Ten Metals and what is the thesis you are attempting to prove? Michael Rowley: At the very highest level, we are applying geologic models that were developed at the world's biggest and most economic platinum, nickel and copper mines. These are the mines of the Northern Bushveld or Platreef District in South Africa. We're applying those models to the Stillwater Complex in Montana, and this has not been done systematically before. The Bushveld and Stillwater Complexes are both large Igneous Complexes, they're both magmatic systems, and there are many known parallels between the two. 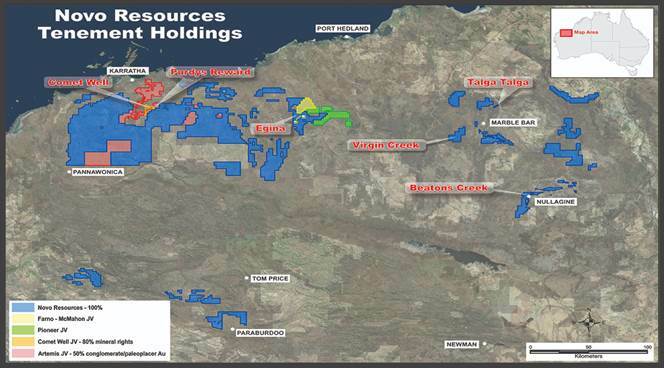 Despite those parallels, we are the first to bring together a large land position with a truly fantastic database and then bring in this Platreef expertise to enable a systematic exploration for these massive deposit types at Stillwater. In discussing that expertise, it's worth noting that Ivanhoe's Dr. David Broughton, who is one of the co-discoverers of its Platreef mine, which is now in development, joined our team late last year, which is a pretty good validation that we're on the right track here in Stillwater. Maurice Jackson: In our last interview, you shared the next unanswered question for Group Ten Metals would be assay results. 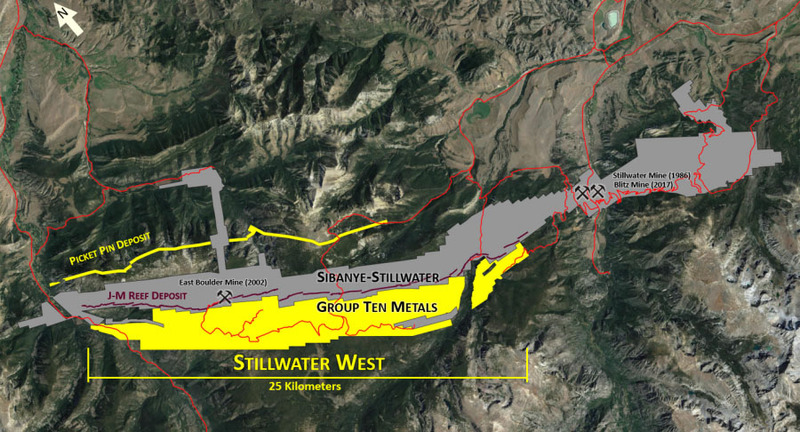 On the 25th of January, Group Ten Metals issued a press release entitled "Group Ten reports high-grade palladium, platinum, and gold from the Wild West in Boulder target areas at the Stillwater West project, Montana." 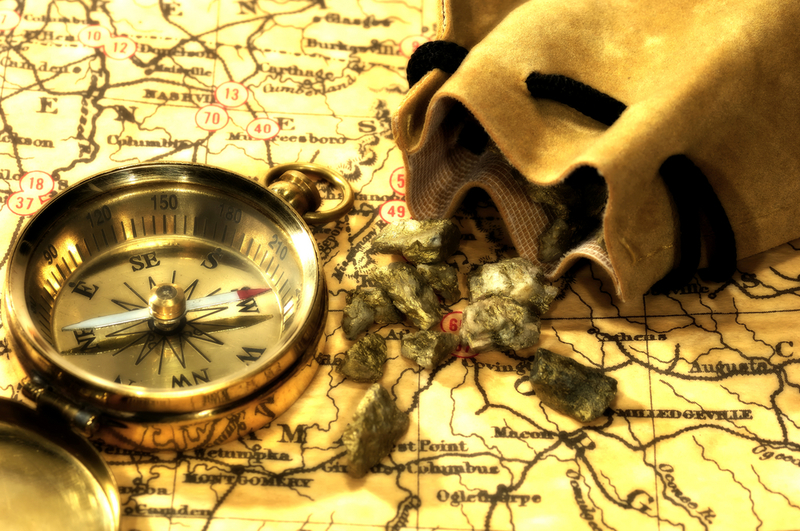 Take us to the Wild West target area and provide us with some in-depth analysis on Group Ten Metals' results there. Michael Rowley: To begin, the press release issued on January 25, 2019, will be the first in a planned series and shareholders will see that the road map in the upper left corner of the image above. We've divided this 25-km-wide property into a series of target areas, and we'll basically be releasing results west to east in the areas that you see. It's the Chrome Mountain and Iron Mountain area that have the most drill results historically, that will be the subject of subsequent news releases here. In terms of the current news, it focused on the Boulder and Wild West, which are highlighted above, and the Wild West target area has the Platreef potential that we see property-wide is well-documented there historically. 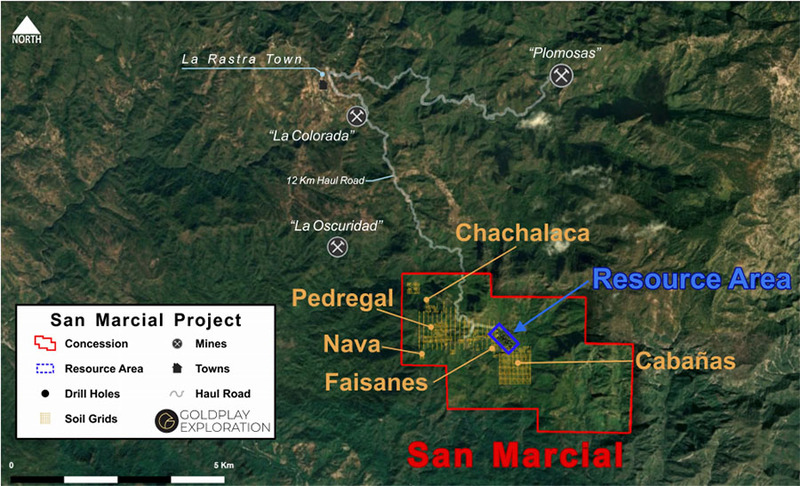 It also has the reef type, high-grade targets as shown in the red ellipses at the top of the claim block, and then it also has this high-grade gold occurrence, which is the Pine Shear zone, and that may be unexpected for some people, given that Stillwater camp is more generally known for palladium and platinum and nickel and copper, chrome. This is actually a significant area of gold mineralization and it's got some spectacular hits. In terms of the Platreef target, this conductive high that's shown contains some very high level conductance in the rocks as evidenced by the purples and pinks. Historical drilling has shown that it does indeed contain copper and nickel, and that's an excellent indication of a potential for this Platreef style mineralization. We also have some spectacular palladium hits, such as 10 gram per tonne palladium, very high grade, also with significant platinum that shows not only the level of mineralization in the system but also the potential for these high-grade reef-type deposits that, of course, the area is more known for. It's worth noting that sitting just above the claim there is the 80 million ounce JM-Reef deposit, which averages a staggering 16 grams per tonne of palladium and platinum, so you know there's a lot of metal in the system and this lower zone that we're in continues that trend. In addition to the high-grade samples summarized in this table, bottom left, we see some very good hits of palladium, platinum, and also some good indications of base metal mineralization, which again ties into that Platreef bulk mineable scenario. These are priorities for follow up in 2019 and we look forward to discussing that in further news releases. The Pine Shear, which is noted above, has shown to contain gold. These 2004 hits were actually drilled by our current qualified person; they're not considered historical, and confirm the presence of significant copper and nickel in that system although the conductive highs have not been tested and that's one of our key items for follow up. These PC series of holes from 1983 show the potential of this Pine Shear zone, which is a later geologic event within the Stillwater layered system. Something has introduced a lot of gold to the system as shown by these fantastic lengths and mineralization, gold mineralization. We see, for example, 11 meters at 12 grams per tonne gold, which is a very high-grade hit and good length within that 8 meters at 16 grams per tonne, and then the wole PC5, 3 meters at a staggering 23 grams per tonne, that's 2/3 of an ounce, so it's very high-grade and nice lengths of it. That's definitely something for follow up in 2019. In addition, we've got grab samples in that area, rock chip samples, and we see not only high-grade gold mineralization as shown in this first sample here, 22 grams per tonne gold, but in addition, we see some high-grade palladium, 10 grams per tonne gold and almost 4 platinum as well. So you're seeing mineralization throughout this area. 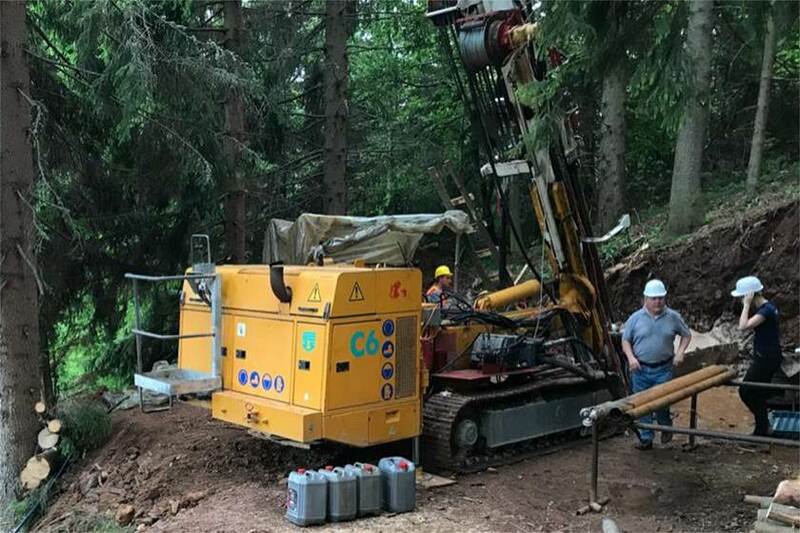 Not only the PGE-nickel-copper that you might expect from the district, but also high-grade gold, and that's very compelling for follow-up in 2019. Maurice Jackson: Michael, these numbers are quite impressive. But let me ask you this, you're in the most prolific area with the highest grades, concentration grades of platinum and palladium. You strategically have your assets positioned there, so were you really surprised? Michael Rowley: No, and we, of course, had seen this data as we got into the project in the early days, it's nice to prove it up in the compellation effort and make it more formal and we can then discuss it publicly, but the Stillwater district is very well mineralized and you're right, that is very well known. What's pleasing now is to be able to reveal the results of the compellation effort and plan our programs for 2019 so we begin to reveal what we think we've got. Maurice Jackson: Well, the results are remarkable. We discussed the Wild West. Let's move to the Boulder target area. What has Group Ten Metals excited here? Michael Rowley: The Boulder area has less data than Wild West and then less data still than the Chrome Mountain and Iron Mountain target areas, however, it does have that lovely conductive high as shown in Figure 1. And, once again, the conductive highs have not been systematically tested. We do have the data from a historical drill hole, that's BR2, shown more or less the middle of the Boulder target area. And that shows nice intercepts of copper-nickel mineralization. We have no PGE data on that, and that's something that we'd like to remedy. In addition, we've got a very nice base metal hit up here including a very nice cobalt of 0.117, which speaks to the technology and battery metal potential of the system. The Bushveld is less known for cobalt, but we're seeing very nice levels of cobalt here in the Stillwater Complex, which adds a nice co-product to a new potential operation here. So in terms of 2019, Boulder won't be a focus as we'll discuss later, we're going to have to focus on the more advanced target areas, however, we definitely will go back there and we'll continue to move it along in our 2019 Program. Maurice Jackson: Switching gears, we introduced the value proposition of Group Ten Metals on the 2nd of November. Since then, the company has successfully conducted a financing and the share price is up 29%. Please provide us with the company's current capital structure. Michael Rowley: We have 59 million shares outstanding at present and a market cap of about $12 million and that follows a raise of $1.2 million back in November, which we did at 15 cents in rather challenging market conditions, which speaks to the strength of this project in particular to attract investments, even in a rather challenging market. Maurice Jackson: Sir, what is the next unanswered question for Group Ten Metals, when should we expect results and what determines success? Michael Rowley: Well, I guess the unanswered question is, how is this possible, is there actually Stillwater in Montana? These districts have a lot of parallels and Stillwater is well known for these three very high-grade palladium-platinum mines. We're looking forward to revealing why we think it's there and how it's been overlooked historically. This district has not been systematically explored for these target types and we're the first to bring together the land position with the data with a team to do just that, and we'll be launching a series of news releases to reveal what the past year of compellation work has shown us and what we, including David Boughton, see in the project and the potential. Again, we'll move from west to east across the project and the next news releases will detail the Chrome Mountain and Iron Mountain target areas, which include the most of the historical data including the 200 drill holes, and, of course, we have almost 12,000 meters of that core in our possession and have re-logged it now, so there's some very exciting revelations to be revealed in the coming news releases. Maurice Jackson: Mr. Rowley, what do you see as the biggest challenge for Group Ten Metals and how do you plan to mitigate that situation? Michael Rowley: The biggest challenge facing us may just be the size of the project. It's fantastic in the scale as you've seen from our figures, we may have as many as eight Platreef deposits across that, based on the coincidence geophysical anomalies, soil anomalies, and then just the geology and historical drill results. Thankfully, and the way to address that, is the quantity of data, the compilation effort that we've done, helps us focus our exploration efforts so prioritizing targets is very much the plan, we've done that and we look forward to revealing our 2019 plans. We're going to focus basically on the Chrome Mountain and Iron Mountain areas where we have the greatest density of historical drilling and go out from there. And I think it will be a very exciting year for us as we reveal what we have and build it out with a 2019 exploration program. We had a terrific reception at the Core Shack at Roundup, we definitely attracted the attention of majors, and that's the way forward that we see, if we do a couple of rounds here ourselves, and prove up what we think we have, and then look to engage bigger partners down the road as that becomes appropriate. Maurice Jackson: Sir, we've covered the good. What keeps you up at night that we don't know about? Michael Rowley: The last time we talked, it was the share price and that has gotten a lot better as you mentioned, thanks to our campaign of news releases and I think also the Core Shack at Roundup did a lot for us. The good news in terms of share prices that we've only just begun to reveal what we have on the project, and we have a series of planned news releases and a major promotional push beginning here which will carry us right up through PDAC in March. We've had a number of very excellent meetings as well recently, and we're excited to begin to reveal what we think we're onto and what 2019 will hold for the company. I think it'll be a pivotal year. Maurice Jackson: Michael, today we've covered the value proposition of Group Ten Metals but Group Ten Metals is actually one of three companies comprising the Metallic Group of Companies. Please introduce them to us and share their value propositions with us. Michael Rowley: The Metallic Group is a collaboration of three independent public exploration companies, growth-stage companies. We've essentially launched one company each year, Metallic Minerals in 2016, Group Ten in 2017, and then most recently Granite Creek Copper just a few weeks ago. Each one has been put together with the same method that you see at Group Ten, which is to acquire high-quality brownfields assets in a known mining district beside an existing mine, and then make that acquisition strategically in a depressed market at a price that would not otherwise be possible in a more normal market. And then add a substantial database to that and a world-class technical team, a world-class corporate team as well, and bring in geologic models from outside that district. Shareholders have seen us do that at Group Ten, we're applying this Platreef thinking for the Bushveld, South Africa, to the Stillwater District. Metallic Minerals, ticker is MMG, is applying geologic models from the multi-billion ounce Coeur d'Alene silver district in Idaho to the Yukon's Keno high-grade silver district. And the parallels are there, there are very good indications of success in that one. And then similarly at Granite Creek Copper, GCX is the ticker. We're applying geologic models that are new in the district, this is a billion pound copper district in the Yukon. Models that were developed in the neighboring Minto mine, we're applying to the Stu high-grade copper project, and that one is shaping up very nicely as well. It's only been trading for about 10 days at this point and there's a lot to be released on that one in the coming months. In all three cases, we expect to add value by de-risking the projects and fast-tracking them to resource to delineation stage. Maurice Jackson: Michael, for someone listening that wants to get more information on Group Ten Metals, please share the website address with us. Michael Rowley: The website is http://www.grouptenmetals.com. Maurice Jackson: And as a reminder, Group Ten Metals trades on the TXS.V:PGE, and on the OTCQB:PGEZF; for direct inquiries please contact Chris Ackerman at 604-357-4790 extension 1, or email [email protected], as reminder Group Ten Metals is a sponsor of Proven and Probable, and we are proud shareholders for the virtues conveyed into today's interview. Last but not least, please visit our website www.provenandprobable.com where we interview the most respected names in the natural resource space. You may reach us at [email protected]. Michael Rowley of Group Ten Metals, thank you for joining us today on Proven and Probable. 1) Maurice Jackson: I, or members of my immediate household or family, own shares of the following companies mentioned in this article: Group Ten Metals and Metallic Minerals. I personally am, or members of my immediate household or family are, paid by the following companies mentioned in this article: None. 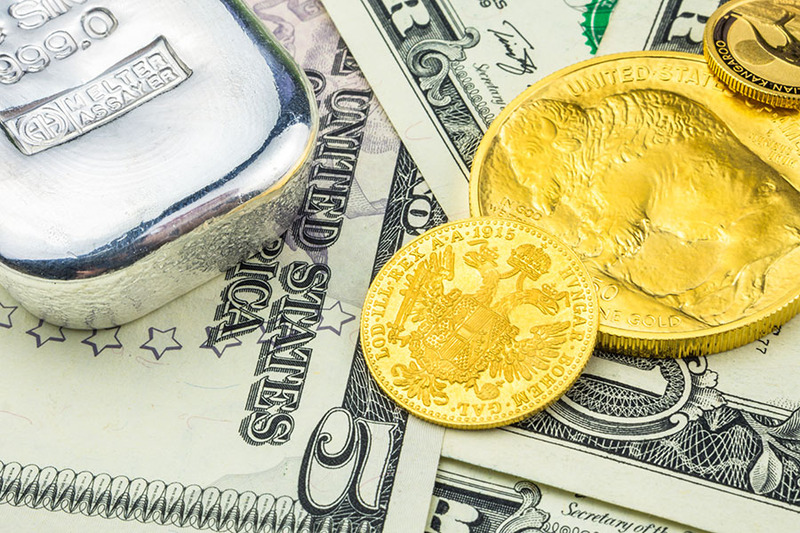 My company has a financial relationship with the following companies mentioned in this article: Group Ten Metals and Metallic Minerals are sponsors of Proven and Probable. Proven and Probable disclosures are listed below. 5) From time to time, Streetwise Reports LLC and its directors, officers, employees or members of their families, as well as persons interviewed for articles and interviews on the site, may have a long or short position in securities mentioned. Directors, officers, employees or members of their immediate families are prohibited from making purchases and/or sales of those securities in the open market or otherwise from the time of the interview or the decision to write an article until three business days after the publication of the interview or article. The foregoing prohibition does not apply to articles that in substance only restate previously published company releases. As of the date of this article, officers and/or employees of Streetwise Reports LLC (including members of their household) own securities of Group Ten Metals, a company mentioned in this article. These results suggest upside potential in expanding the resources there further. 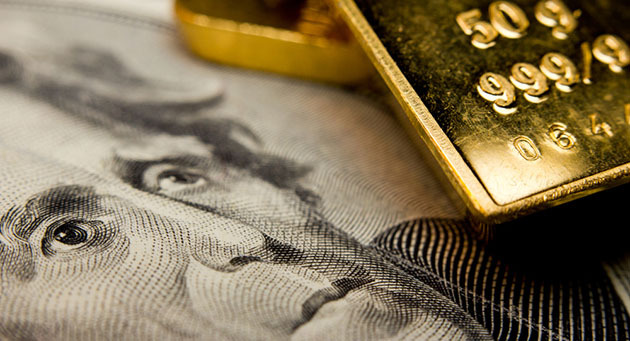 Want to read more about Gold, Base Metals, PGM - Platinum Group Metals and Silver? Sign up to receive the FREE Streetwise Reports' newsletter.